Step 1. Bring a large pot of salted water to a boil. Cook the tortellini according to package directions. Drain and reserve. Step 2. 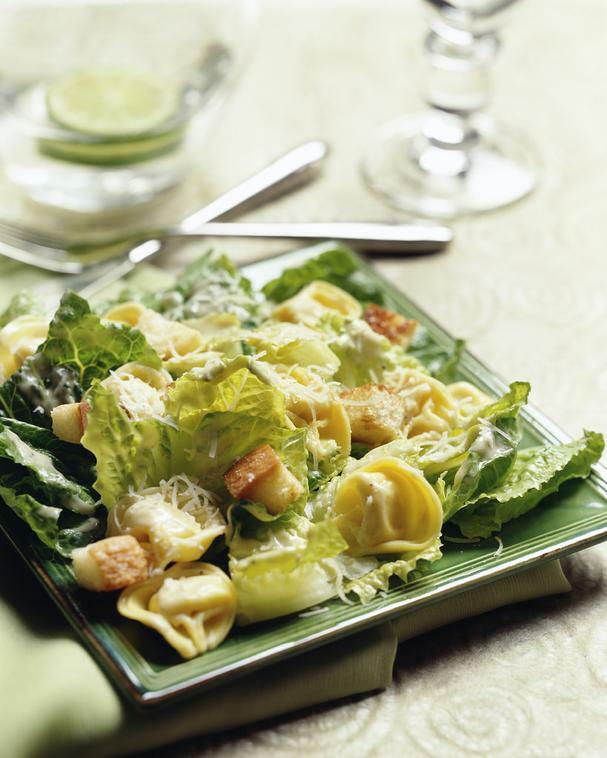 Once cooled, combine lettuce, cooked tortellini, and optional vegetables. If not eating right away, reserve. Step 3. Toss with dressing, cheese, and croutons (to taste) and serve.